home to approximately 1,800 Black bears, the largest population in the southeast, and the park receives 10 millions visitors per years, so this is a truly rare incident. Ms. Bradley was attacked in the Elkmont section of the park while hiking and waiting for her former husband, Ralph Hill, who was fishing nearby. Ms. Bradley, an experienced hiker, was attacked about 2 miles from the trailhead on the Little River Trail at, or near, the intersection of the Goshen Prong Trail, an area she was familiar with. The pair had entered the park about 12:00. At about 2:00 Mr. Hill had fished his way out of sight. When he returned about an hour later he found her pack undisturbed then located her body off the trail and two bears guarding the motionless body. Mr. Hill and other hikers were unsuccessful in their attempts to drive the bears away from the body. Another fisherman reported the incident at Elkmont at about 5:00 and rangers were on the scene at 6:00. Ranger soon located and killed a 112 pound female and her 40 pound female yearling. 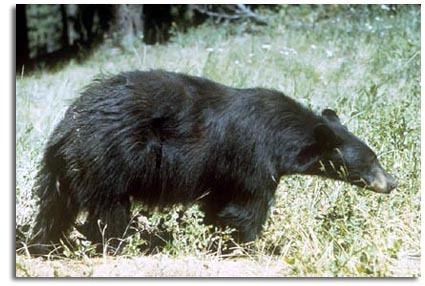 The adult bear had been tagged for research purposes by a University of Tennessee wildlife biologist in 1998 and had never been known to show aggressive behavior towards humans. Subsequent necropsies preformed at the University of Tennessee confirmed that both bears the rangers killed had fed on Ms. Bradley and were most likely the bears that had killed her. The bears were not emaciated and the necropsies did not reveal any underlying health issues with the bears that may have contributed to the attack. This lead officials to believe the attack was a predatory. An autopsy was performed on Ms. Bradley by East Tennessee State University’s College of Medicine which confirmed that Bradley died of blood loss from injuries due to a bear attack. Her death was ruled an accident. Since this incident, Tennessee has suffered it's second fatal attack which happened on April 13, 2006 when 6 year old Elora Petrasek ans her brother and mother seriously injured in a black bear attack in Cherokee National Forest.